Despite the international break being upon us, a number of Manchester United players have been training hard at the club’s training ground in anticipation of the next game against Newcastle. Long term absentees such as Marcos Rojo, Paul Pogba and Michael Carrick were pictured training alongside the club’s youngsters and the international players not called up by their national teams. 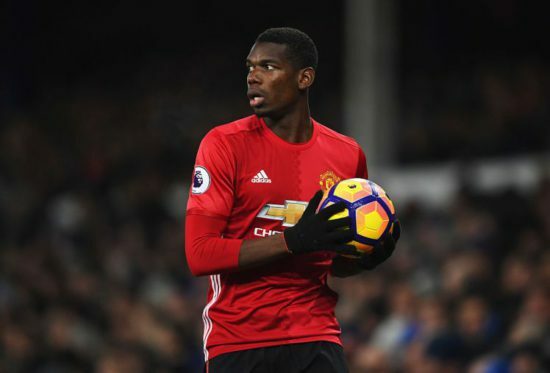 ESPN reports that 24 year old France international, Pogba is nearing full fitness as he was seen training with the club’s reserves. The mercurial midfielder, who had been one of the club’s shining lights before he got injured in the Champions League opener at Old Trafford back in September, could be back against Newcastle when we play the Magpies on Nov. 18. The midfielder was exciting at the start of the season, linking up well with summer signing, Romelu Lukaku and looking sharp as the signing of Nemanja Matic has liberated him to go forward. He has joined in training by Marcos Rojo, the Argentinean left back who injured his knee back in April. Carrick has only featured for United once on September 20 in the Carabao Cup win over Burton Albion, but could be back by next week. The 36-year-old club captain has barely featured due to a niggling knock but we need him back in the side as his calmness is missed as we look to get our season back on track. The player was a given a 1-year contract extension in the summer as this season is expected to be his last as a professional player with the classy player already taking his coaching badges. After suffering a dip in form in recent weeks, we desperately need players that can add quality to the team. Charismatic Swede, Zlatan Ibrahimovic is still out sidelined and yet to take part in full training but is already taking drills.